We continue our effort to break down the barriers created by complex betting terms that restrict how those not in the know bet, by checking out the Super Yankee bet and making it easier to get your head around. How did the Super Yankee bet get its name? First things first – how did the Super Yankee gets its name? The story goes that an American gambler – possibly a soldier – won a huge amount of money with just a small stake using this type of bet while in the UK, and thus the Super Yankee bet was born. The Super Yankee bet is exactly the same as the Canadian bet, and is also pretty similar to the lucky 31 bet; you can find simple explanations of both the Canadian bet and lucky 31 bet elsewhere on Honest Betting Reviews. How do you place a Super Yankee bet? The Super Yankee is made up of 26 different bets based around five selections. The first wager is a five-fold accumulator, which places all five picks together for the best odds. Next up will is five different four-fold accumulators, with one different selection removed from each. You will find that the four-fold accumulators still present you with reasonable odds, yet ensure that if only one selection fails to come through, you can still get a decent return. The rest of the Super Yankee is made up of ten trebles, where the five selections are placed in threes, and finally ten doubles. The only difference between a Super Yankee bet and a lucky 31 bet is that the Super Yankee bet does not include any single bets. While there is an increased stake and increased risk involved in a lucky 31, the fact bookmakers often offer bonuses on it means it may be worth upgrading from a Super Yankee bet in some circumstances. Each selection has an equal effect on the return in a Super Yankee bet, and a single loss can reduce winnings dramatically. How do you win a Super Yankee bet? To make our example of how you would win a Super Yankee bet easy to understand, we will play it out as if the odds on all five selections were evens. If this were the case then you would need four out of the five selections to be right to make a profit, and obviously all five right to maximise your return. Obviously it is not easy to work out what a Super Yankee bet could win you with five selections with differing odds, so use an online calculator to see how it would work out for you based on your selections. However, you will see a return as long as two selections come in. Super Yankee bets are popular with horse racing aficionados, as each way bets are possible, ensuring you do not lose out completely should a selection come second. So that is one more betting term explained. 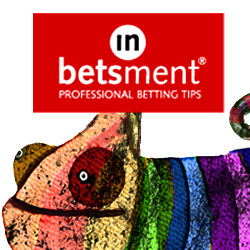 If you would like explanations of other betting terms, check out the other guides on Honest Betting Reviews.